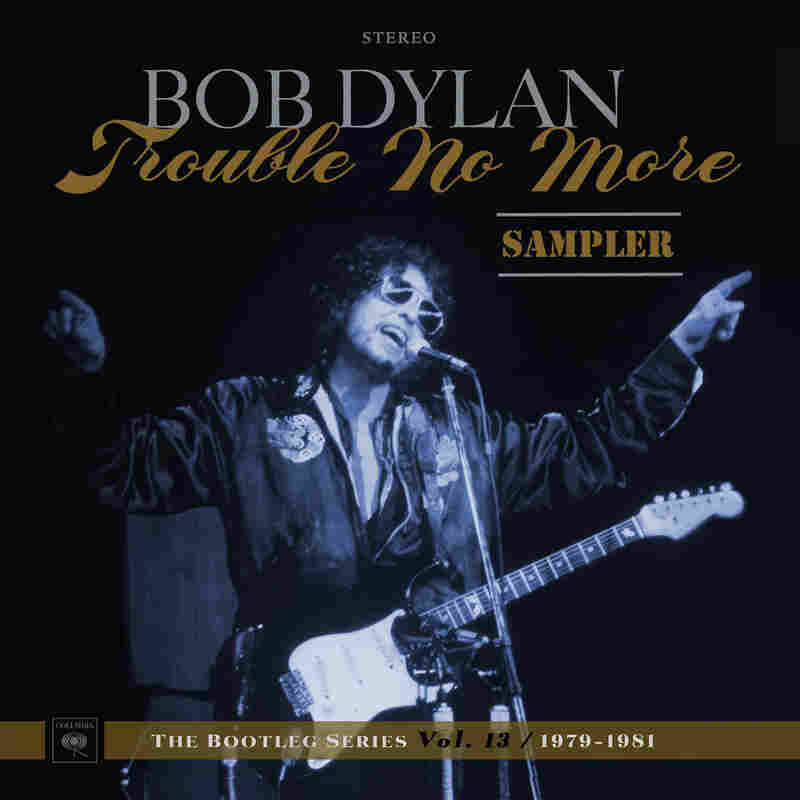 Stream Selections From Bob Dylan's 'Trouble No More – The Bootleg Series Vol. 13 The Nobel Prize winner's latest bootleg set focuses on the parables and homilies he wrote for his "Christian trilogy," including a previously unreleased gospel track called "Making A Liar Out Of Me." Tucked between the rarities on this 102-song, 8-CD, 1-DVD trove of music from Bob Dylan's "Christian period" is a radio ad for a January 1980 show in Portland, Ore. It features on-the-street interviews with what we're led to believe are concertgoers at an earlier tour stop reacting to Dylan's latest direction. The first voice registers disappointment: "I didn't come here to hear sermons, I could have went to church." That's followed by a woman complaining "I want the old Bob Dylan, the one I know and love, and that wasn't him." Others are more open – one blissed-out dude remarks "The band was fiiine." The spot ends with a voice actor delivering a classic advertising pitch: "Decide For Yourself." That, in a nutshell, has always been a challenge with this particular episode in Dylan's nearly 60-year career. Because deciding involves factors beyond simply the music. The news about his conversion to Christianity was enough to prompt some fans to get off the train before they heard a note. Then came word that he'd put his beloved older material into deep storage; in performance, he would focus on the parables and homilies he wrote for the 1979 studio album Slow Train Coming and two subsequent works, Saved and Shot of Love. Early reaction from the music press probably didn't help ticket sales, either. Some critics raised questions about the originality of the blues-steeped music of the Jerry Wexler-produced Slow Train Coming, while others took issue with the sometimes proselytizing lyrics. Greil Marcus heard "received truths" in Dylan's words, and accused him of selling a "prepackaged doctrine he's received from someone else." By this point Dylan was an old pro at confounding expectations, particularly those of professional prognosticators. What emerges from the live tracks on Trouble No More is how attentive he was to the settings – and, crucially, the show-business tradition – of his new mission. He recognized what the masters of gospel and blues all understood: That the chapters and the verses are not nearly as important as the conviction underneath. If you want people to appreciate and maybe even resonate with your truths, it helps to frame them within an urgent, intense musical context. To put people in touch with the consuming fury of the conversion moment, you need the sound of fire and brimstone. Previous installments in the Bootleg Series have offered outtakes and lost classics, the rare curios that record geeks love. There are a few choice ones here – among the rehearsal takes are several radically different approaches to "Slow Train" and a stirring previously unreleased tune, "Making A Liar Out of Me." But the bulk of Trouble No More comes across as a passionate argument – against closemindedness generally, and also against the oft-repeated assertion that Dylan's conversion years yielded little of lasting musical consequence. It was not a small thing for this revered, established figure to jettison the songs that made him famous; he had to come up with a new book of material, and a sound that could enchant his old fans while accommodating the fervent spirit of his new message. Some Dylan diehards dismissed the effort entirely because they simply didn't want to hear that message. The thrilling live takes on Trouble No More show exactly what they missed.